How Long Does It Take to Become a Firefighter in Washington? How Much Do Firefighters Make in Washington? In 2016, 1,000 fire incidents in the state of Washington resulted in 1.8 deaths and 9 injuries. The national average for 1,000 fires is 2.4 deaths and 9.3 injuries. If the state of Washington has been able to beat the national average, it is due to its professional firefighting force. If you want to become a firefighter in Washington then continue reading the minimum qualifications to become a firefighter in the state, the hiring process, training, and salary and career outlook. Meet all the steps of the hiring process. Complete work attitudes questionnaire online. This takes about half an hour to complete. 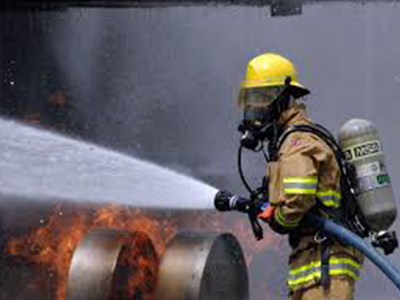 Firefighter Testing Assessment – A 2.5 hour test on math, reading, mechanical reasoning components and human relations. Oral Board Exam – Is the third step in the hiring process, which requires clearing the first two steps. Once you clear these three steps, your name is listed on the Firefighter Register. The next phase is called Pre-Employment Screening and only the top 25 percent of candidates on the Firefighter Register proceed to this phase. asks questions on education and employment history. You can submit your resume, letters of recommendation and other supporting documents with this packet. these exams assess your emotional stability, personality style and personal history. this test measures a candidate’s physical suitability for the job. Being a firefighter is one of the toughest jobs on the planet and you should be physically fit enough to perform your daily duties. this is a formal business interview and if you clear this stage you will be offered conditional employment. a thorough medical checkup conducted by a licensed physician. In addition to taking blood and urine samples, you will be asked to fill in a medical questionnaire. Furthermore, a clinical psychologist will interview you. The background check includes a review of both, your driving record and criminal history. If you pass all these steps successfully, you will be made an unconditional offer of employment. Once you accept the offer, your training starts. Recruits get paid during this phase. Once you complete the firefighters training program, you start your yearlong probationary period. Upon successful completion of this period, you will receive Firefighter II certification and permanent appointment as a firefighter. You are looking at a long and time consuming process. Criminal background check may take weeks if not months to clear. Also be mindful of the fact that firefighters’ applications may not be accepted on a rolling basis. Which means that if you’ve missed the deadline, you will have to wait till the hiring process is opened again. All in all, pursuing a career as a firefighter demands substantive time investment. Washington State is the fourth highest paying state in the United States for firefighters. In May 2017, firefighters here earned annual mean wage of $70,300. This is just below what firefighters earned in New Jersey, California and New York (top three highest paying states). In other words, if you are thinking of becoming a firefighter in Washington State, you are not only looking to join a meaningful profession but also a rewarding career. Though Washington State is not amongst the highest employment states for firefighters, it nonetheless employed 8,710 firefighters as of May 2017. These numbers are expected to grow slowly but surely in the coming years.